Over the years, the Foundation has helped the school pay for a number of major projects including raising over £45,000 for the ICT suite in 2006, and just under £60,000 for improvements to the playgrounds in 2010. The Foundation has also supported the annual residential farm trip to Wales since its start in 2011 to ensure all Year Five pupils can attend. 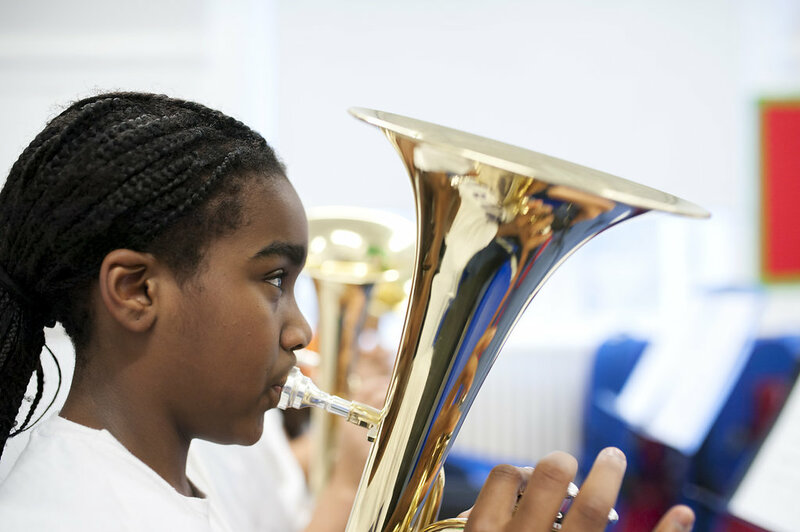 For the past three years the Foundation has helped to fund the whole-school music programme, purchasing brass instruments to support free instrumental lessons for all children in Years Four to Six, contributing to the costs of specialist teaching staff, providing new percussion instruments across the school and meeting the costs of the concerts at the Union Chapel. The programme is funded with the over £82,000 raised in 2013 from grants from Youth Music, The Andrew Lloyd Webber Foundation and other charities, and contributions from parents and carers at an auction of promises and a whole-school ‘playathon’. Most of the Foundation’s income comes from grants from other charities but it increasingly relies on regular monthly donations made by families at the school. This money is very useful as it is a stable income and means the Trustees can plan ahead. These donations also earn the Foundation Gift Aid of an extra 25%. If you would like to join the other families who already donate to the Foundation on a regular basis, please click on the link below to download a donation form. A one-off donation is also very gratefully received. As little as £5 a month for a year will pay for a trumpet which will be used by three children over three academic years. £20 a month will ensure a Canonbury school pupil from a disadvantaged background can attend the residential trip to Treginnis farm during Year Five. If you would like to get involved in the work of the Foundation, please email canonburyfoundation@gmail.com or leave a message in the school office for the attention of the chair.